Hey there Matadors! You may already know that the Library makes available many types of technologies including laptops and tablets for seven-day check-outs. But did you know we now also offer wireless mobile hotspots and TI-84 plus calculators for check-out? These are two of our latest offerings, and we think they will be very useful! 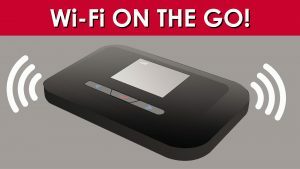 Our mobile hotspots will provide you with a wireless connection, from virtually anywhere. Our newly available Franklin R910 Mobile Hotspots will allow you to browse the Internet with up to 4G LTE speeds. 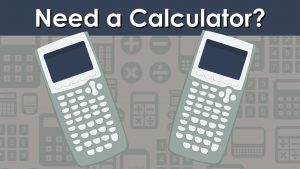 Our TI-84 plus calculators are graphing calculators commonly used within calculus, statistics, and finance. 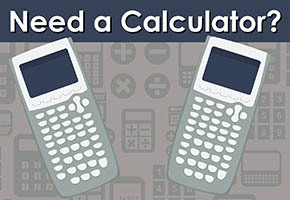 These calculators have expanded graphing technology, and they come preloaded with more than a dozen applications, including functionality that encourages exploration of interactive geometry, inequality graphing, and real-world data collection and analysis. Both the mobile hotspots and graphing calculators can be checked out for seven-day periods at the Library Technology Services department on the Main Floor of the Library. Simply bring your valid CSUN student ID in order to check out either or both. We look forward to seeing you in the Library soon! Previous Post Celebrate National Library Week! Meet the most influential Filipina women in the world at the Oviatt Library on May 2, 2019! This event will feature readings from the groundbreaking FWN DISRUPT Filipina Leadership Book Series in celebration of Asian American / Pacific American Heritage Month. Sponsored by the Filipina Women's Network, in collaboration with #CSUN. CSUN Pop-up Pantry with helping hands from the Oviatt Library is on Tuesday, 4/23/19 from 1-3pm at Sierra Lawn North! Come learn how to make nutritious meals with fresh, low-cost foods. Enjoy free samples, recipe cards, & fresh fruits and veggies. Students can apply for CalFresh at the event, too!